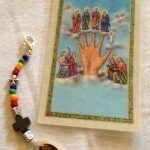 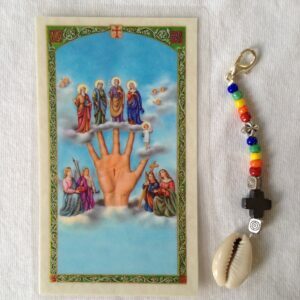 This beautiful hand-made custom protection charm uses the colors of the five powerful deities of Chango (red), Ochosi (orange), Ochun (yellow), Ogun (green), and Yemaya (blue) and features them with a silver tone cross and a larger hematite cross and a cowrie shell at the end. 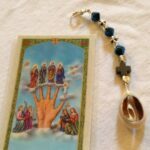 This is not a protection piece made in accordance to religious beliefs, but as a reminder of the Saints that surround us everyday. 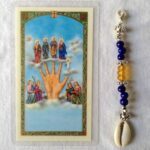 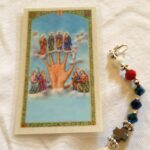 Come with a laminated Most Powerful Hand/Mano Poderosa Prayer Card.